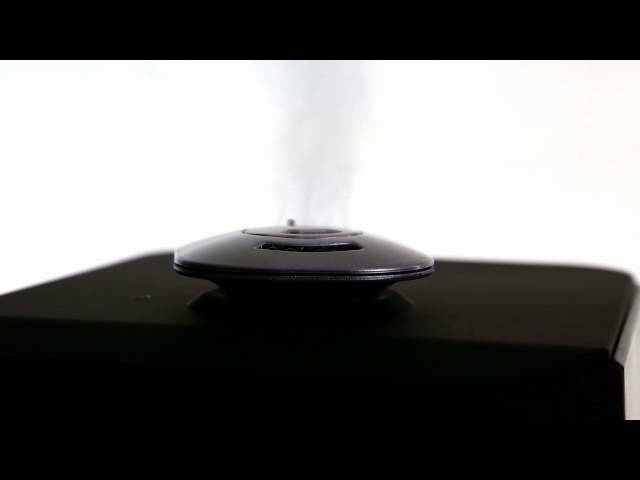 The PowerPure 5000 Ultrasonic Humidifier covers up to 700 square feet and lets you choose between warm or cool mist. 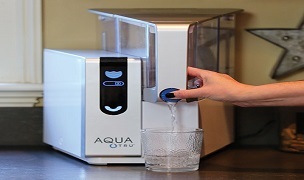 The 5000 features silent operation, a permanent water filter, digital controls and an included remote control. 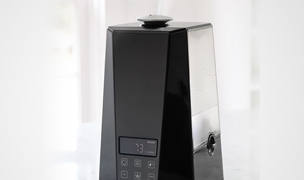 You can choose between our black humidifier or white humidifier models. 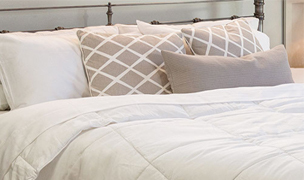 Humidifies up to 700 square feet. 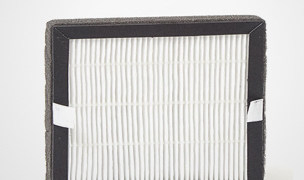 Includes a permanent filter. Colors: Black or White. The PowerPure 5000 humidifier is our best new humidifier for 2018 and thus has been awarded our esteemed Category Winner award. Not only is this the best looking humidifier in our portfolio, it also outperforms and offers the highest quality components in the market. 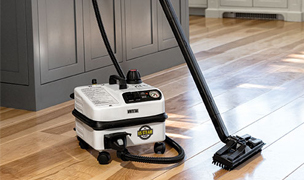 The 5000 model emits up to 3 gallons of moisture per day and will effectively humidify spaces up to 700 square feet. 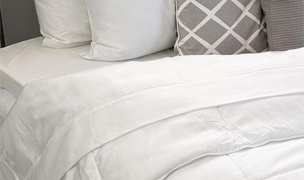 An included remote control lets you adjust your humidity settings from across the room. 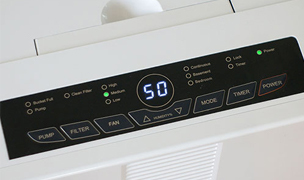 The PowerPure 5000 will provide relief from those painful symptoms associated with colds, the flu and suppresses allergies by maintaining a healthy 35-45% relative humidity range. 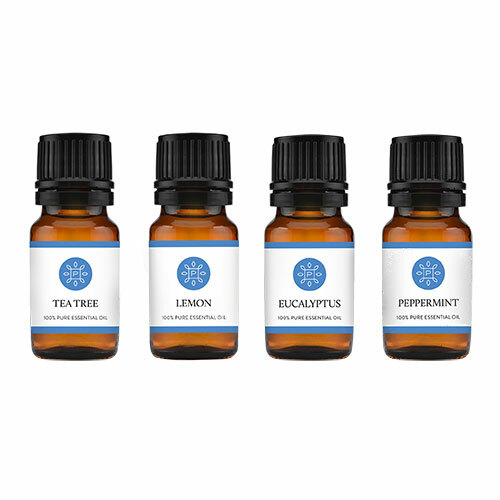 An optional negative ion generator is used for improved air quality, elevated mood and general overall wellness of your body. 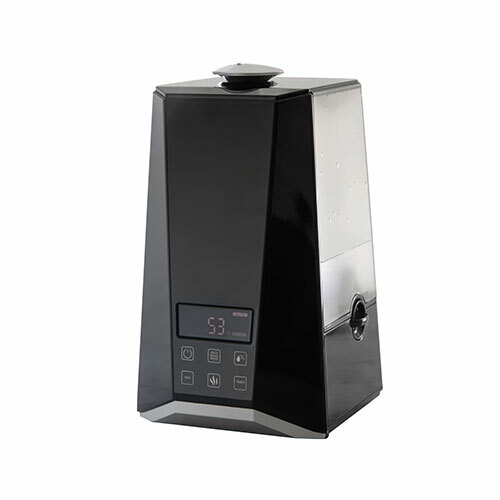 Its LCD display screen keeps you informed of both relative humidity and temperature while its soft touch buttons allow you to set your humidity level, either cool or warm mist, the operation timer and more. 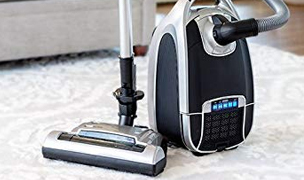 This humidifier offers near silent operation and the convenience and safety of an auto shut off feature which turns the humidifier off when water levels become depleted. 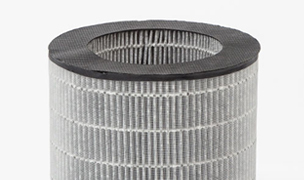 The PowerPure 5000 features a permanent, money saving ceramic filter that is designed to soften and clean the water in your water tank. Available colors: Black or White. 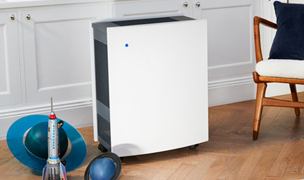 See our entire family of PowerPure Humidifiers. 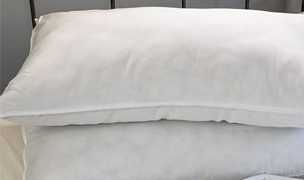 Once a month, empty water basin and gently wipe down with a soft cloth and carefully rinse clean. If organic buildup does occur in basin, simply soak a 50/50 mixture of water and white vinegar in the basin for ten to fifteen minutes. 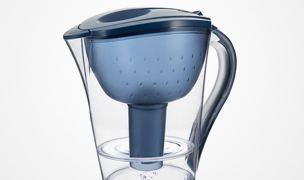 Carefully drain and rinse with fresh water and wipe down with a soft cloth. 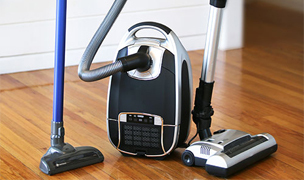 Thoroughly drain and clean before storing the humidifier for any extended period of time. 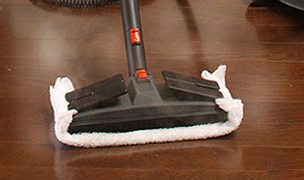 Ultrasonic humidifiers are not designed for placement on the floor. 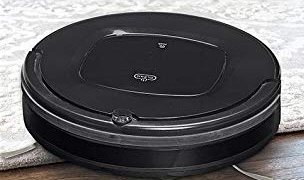 These humidifier's output of moisture requires time to evaporate so placement on night stands, bureaus and counter tops is advised to avoid residual moisture on the floor. 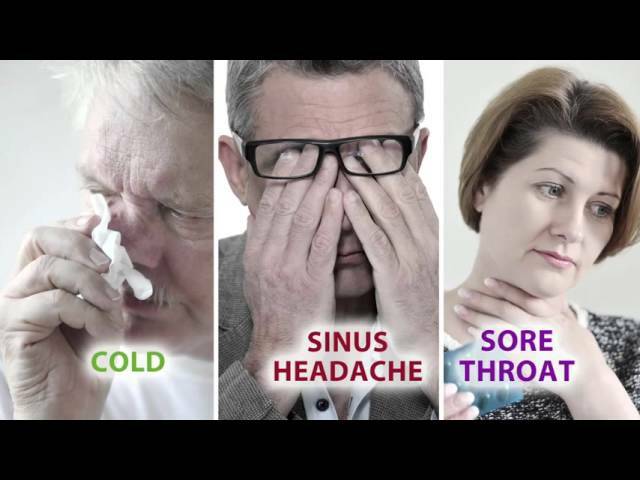 Is someone in your family suffering from sinus pressure, a runny nose or a sore throat? 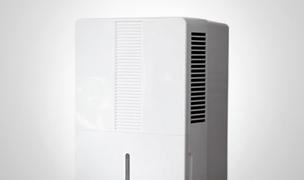 The PowerPure 5000 Ultrasonic Humidifier is a tried and true solution for anyone plagued by dry, stuffy conditions. 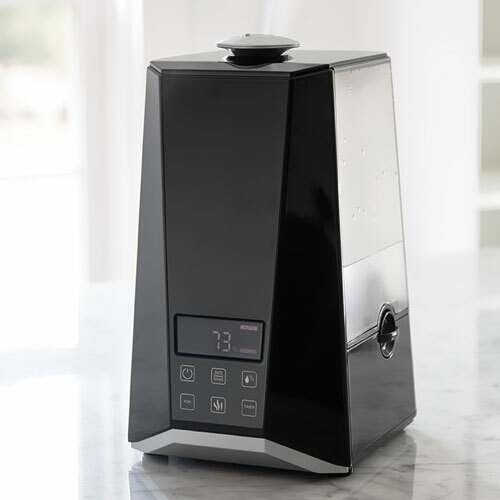 This high quality, reliable humidifier boasts a long list of convenient features providing you with incomparable air quality. 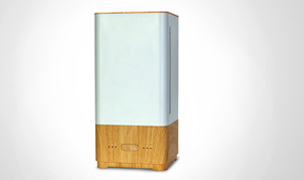 The PowerPure 5000 is arguably the best looking humidifier design we have ever seen.This ultrasonic humidifier can emit either warm or cool mist; warm is considered best for relief from cold and flu symptoms while we recommend using cool mist for the relief of allergies and general humidification.This humidifier will easily humidify open areas up to 700 square feet so it is well suited for large rooms such as great rooms or master bedrooms. 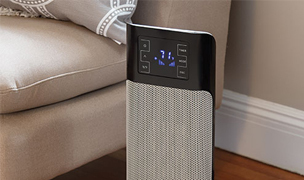 If you use the 5000 model in your bedroom, you will rest peacefully as this humidifier operates at a near silent noise level. 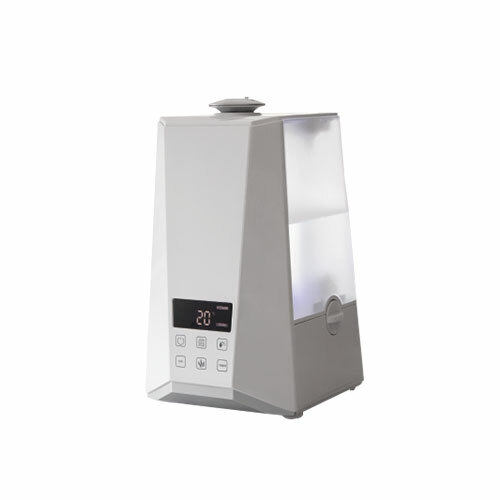 Whether you use the PowerPure 5000 humidifier just at night or 24 hours a day, you will get many years of operation from this humidifier. 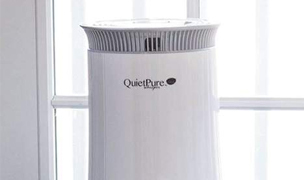 From the leaders in healthy home humidification, AllergyBuyersClub.com is proud to be the exclusive authorized dealer of PowerPure humidifiers. Room Coverage 700 sq. ft.